Judge Laura Riquelme has a history of listening to all voices in Skagit County. She has dedicated her entire legal career to public service in Skagit County, first as a prosecuting attorney, then a public defender, and now as one of the county’s four Superior Court judges. She hears a wide variety of civil, criminal, juvenile, and family law cases. Judge Riquelme is deeply committed to the court, as well as providing community outreach about the legal system. She particularly enjoys speaking with youth groups and students about civics, the court system, and leadership. 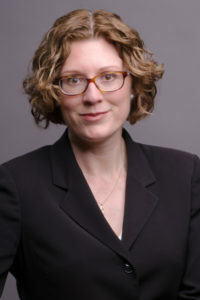 She was appointed to the bench in both 2016 and 2017 and elected to position two in 2018. Campaigning provided an excellent opportunity to further engage with the community and learn about what Skagitonians expect and need from the legal system. Judge Riquelme serves on committees within the Superior Court Judges Association and as an officer for several local boards.